Today I get to share with you my review for Love Under Construction as part of Danyelle Ferguson’s blog tour. There is also a giveaway that is open internationally if you’re interested, details are below. Charlee was angry . . .
What do you do when your boss makes someone else the lead on a big renovation project that should rightfully be yours? You quit. On second thought, that might not be the best idea, but Charlee Jackson has never been one for second thoughts. Instead, she lands a big contract of her own. She’s jumping into her new life—work boots, tool belt and all. Now she just needs to form a company and hire contractors and buy supplies and get an office . . . and not fall in love with her former boss’s son. Yeah. Definitely not that last one. Peter was torn . . . I have mixed feelings about this book. I enjoyed the story, I thought it was clever and creative; Charlee is a wonderful and intelligent woman who is confident in her skills and capabilities. The plot was interesting it was a nice romance with complications and conflict that balanced the love side with other things. What kept catching my attention and annoying me a little was the very slight yet ongoing sexist remarks in the beginning. That is a strong word but I dunno there were just comments that got under my skin, not only that Charlee makes it clear she’s not “one of those women”, but her reference to wearing “girly things”, even things like clothes. And Peter was no better, making claim basically of Charlee, saying she’s “his woman” and acting jealous after one kiss and basically fighting other men because she dances with them. I know it’s nitpicking, and it shows Peter’s affection for her in a weird way but it was a common thing I noticed. Whether Ferguson was going for a portrayal of the “man’s world” of construction and “that’s just how men are”, as well as making us notice Charlee was different I’m not sure. And it is the smallest thing, but it did bug me. Aside from that, I did enjoy this novel. Charlee is a great character, she stands up for herself in the male dominated workplace and knows her worth but she also has her doubts and insecurities. Seeing her take charge and follow her dreams is wonderful and it really makes you root for her and will her to succeed. Charlee herself doesn’t go on too much about being a woman in a male dominated profession; she just gets the job done and shows off her talent. She knows she is great at what she does and she is willing to do what she has to to get what she wants. What Ferguson also did well is not make too much of a big deal about why Charlee is in construction, she enjoys it, she’s great at it, that is reason enough. I liked that that there is a myriad of conflicts working all at once, it keeps you interested and gives you something different to think about. The ‘will they, won’t they’ side of the romance is solved early on, but the intrigue is whether or not they will remain that way the entire time. This is balanced well with drama from other avenues like the Charlee’s workplace and her family problems. Having numerous conflicts makes the story feel real and adds to the overall drama without going overboard. These little conflicts provide the story with multiple storylines that connect together and overlap nicely. There are also lots of mini-conclusions where you think the story may end but it doesn’t. There are no quick solutions or resolutions and Ferguson wraps up loose ends skilfully while not making it feel rushed or unrealistic. I quite liked the construction side of the story actually. Ferguson describes the day to day processes knowledgeably and realistically, but we aren’t bogged down by jargon and step by step processes or exact details. Ferguson includes enough to explain it within the story and make it feel real but doesn’t go over the top to try and include everything. It flows naturally into the story which helps us understand how construction works and the steps involved while progressing the story and not feeling out of place. I recently learnt the term sweet romance and I think that’s a great description of Peter and Charlee’s relationship, it’s new and committed but also with the troubles of self-doubt and circumstance. Ferguson makes it clear these guys really like each other which makes the sweet parts sweeter and the conflicts more interesting. This is the second in the Indulgence Row series but you really can’t tell. Ferguson explains enough to make you work out what book one may have been about but it really doesn’t affect the story. Knowing it is in a series though you can see references to a previous book, and there are hints about what will follow in book three which Ferguson leads into seamlessly but intentionally. Overall I think I enjoyed the construction storyline more than the romance, it was just so interesting and Charlee was a great character to get to know, but the way Ferguson has woven it all together made the romance sweet and filled the story with the right amount of drama. 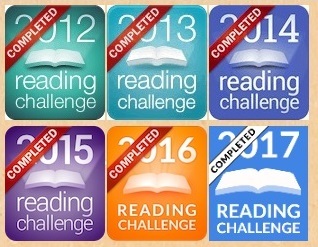 There are no perfect endings but there is hard work and determination surrounded by likeable characters that are all unique and complicated in their own right, and with a nice teaser to pique your interest not only in book one but also book three there is an incentive to keep reading. Danyelle Ferguson discovered her love for the written word in elementary school. Her first article was published when she was in 6th grade. Since then, she’s won several awards and her work has been published world-wide in newspapers, magazines and books. 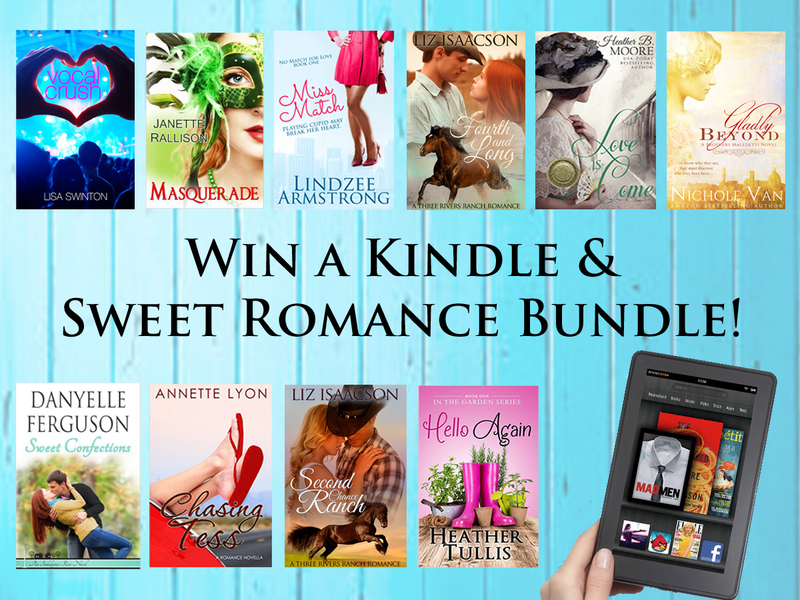 Enter to win a Kindle Fire and this fabulous bundle of sweet romances! The giveaway is open internationally. If the winner lives outside the Amazon Prime free shipping area, the winner will receive the sweet romance ebook bundle and the choice of either a $40 Amazon gift card or PayPal cash. Previous Films About Shakespeare Next That was Shakespeare? Thank you so much for your thorough review, Amy! I love how you weaved together the aspects that bothered you personally, as well as what you truly enjoyed about Charlee & Peter’s story. I appreciate that so much – and I’m sure your blog followers do too. Thank you again for being a part of the blog tour! You’re wonderful!